Health, Food and Social Inequality investigates how vast amounts of consumer data are used by the food industry to enable the social ranking of products, food outlets and consumers themselves, and how this influences food consumption patterns. This book supplies a fresh social scientific perspective on the health consequences of poor diet. Shifting the focus from individual behaviour to the food supply and the way it is developed and marketed, it discusses what is known about the shaping of food behaviours by both social theory and psychology. 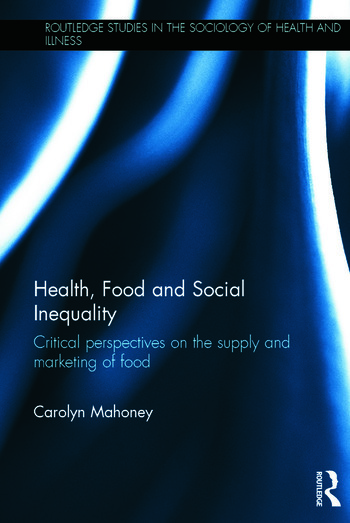 Exploring how knowledge of social identities and health beliefs and behaviours are used by the food industry, Health, Food and Social Inequality outlines, for example, how commercial marketing firms supply food companies with information on where to locate snack and fast foods whilst also advising governments on where to site health services for those consuming such foods disproportionately. Giving a sociological underpinning to Nudge theory while simultaneously critiquing it in the context of diet and health, this book explores how social class is an often overlooked factor mediating both individual dietary practice and food marketing strategies. 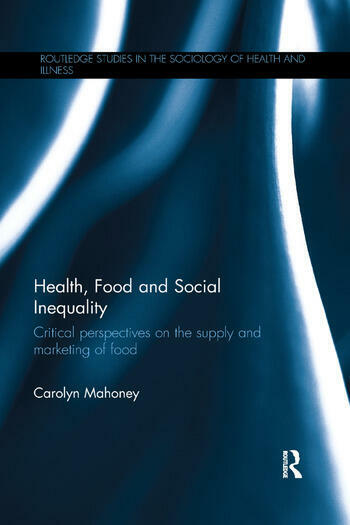 This innovative volume provides a detailed critique of marketing and food industry practices and places class at the centre of diet and health. It is suitable for scholars in the social sciences, public health and marketing. Following an extended career in public affairs, as a speechwriter and later as a newsroom journalist and editor, Carolyn Mahoney obtained her doctorate at the University of Sussex, UK. She is based in London and is a Visiting Researcher at the University of Brighton, UK.